Breweries use different systems and processes to produce their beer, however the 4 key ingredients are the same; Water, Grain, Yeast and Hops. It is the variation in these ingredients, that determines the style and flavor of the beer produced. Water is the main constituent of beer, and good water makes good beer. Small differences in water composition can result in big differences in flavor. 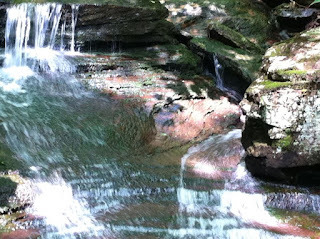 Soft water, for example, gives beer a soft, clean body and is especially good in lighter beer styles, such as Pilsner, while hard water which accentuates hop bitterness and flavor, is good for IPAs and Stouts. Great brewing towns have grown and continue to grow around the best water sources. Pilsen, in the Czech Republic, with its soft water; Burton-on-Trent, in England, with its hard water; and Bend, in Oregon, with its clean, crisp mountain water are some examples. Nowadays, the brewer is not at the mercy of his local water supply. If the water is sub-par, it can be treated, to improve its quality. Some breweries have a treatment plant to control the water, while others simply add salts and minerals to the brew, to suit the style of beers they produce. 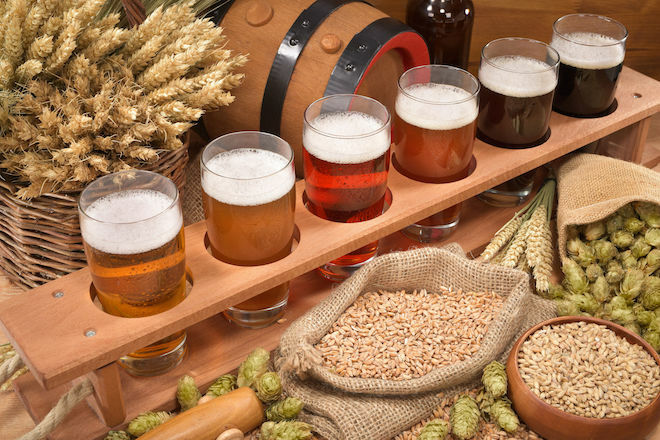 Grain provides the sugars needed to make alcohol, besides influencing the flavor, texture and style of the beer. Malted barley is the most common brewing grain, but other grains like wheat, rye, oats may be used. 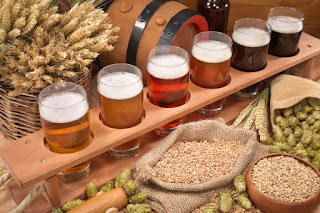 Oats give a smooth richness to the body; wheat helps head-retention(frothy foam on top of the beer) and gives texture; and rye adds a crisp, slightly spicy, sometimes dry aspect to the beer. Rice and corn, are neutral grains that do not change the taste but tend to lighten flavor. 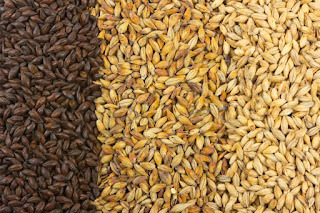 A brewer may use these grains in different combinations to vary the texture, flavor and style of the beer. Oat plays an important part in English-style oatmeal stouts, as it adds a smooth, rich texture to the stouts. 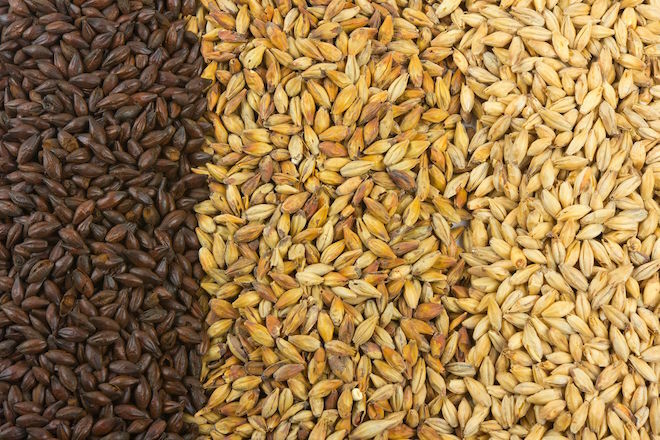 Similarly, wheat is the key grain in a German hefeweizen or a German style bock, weizenbock (weizen means wheat). Yeast in it’s simplest terms converts the sugar from the grains into CO2 and alcohol to produce beer. These micro-organisms are invisible to the naked eye but nevertheless the magical ingredient that makes a beer a beer. Yeast besides making alcohol also influences the final flavor, usually adding fruity and spicy notes. There are two main types of yeast; ale yeasts and lager yeasts. The type of yeast used determines whether a beer is an ale or a lager. Ale yeasts are known as 'top-fermenting', meaning the yeast collects on the top of the tank during fermentation. These beers are fermented at warmer temperatures (65 -75 F). Top-fermenting yeast provides complex flavors to the beer including some fruity flavors. Lager yeasts are 'bottom fermenting'. The yeast drops to the bottom of the tank during fermentation. These beers are fermented at cooler temperatures (40-60 F). Lager yeast is clean with little flavor added to the beer. Ales are heavier bodied and more complex. Stouts, hefeweizens, IPA's, and porters are all types of ales. Lagers are usually light and crisp. Most mass-produced (e.g. Bud, Coors, Miller) beers in the U.S. are lagers. A lot of the beer's potential off-flavors come from yeast. Therefore, careful control of the yeast and temperature is key to the aroma, texture and flavor of the beer. Hops are used to add bitterness that balances out the sweetness contributed by the grain. Without them, you’d have something tasking like a sugary soda beer. 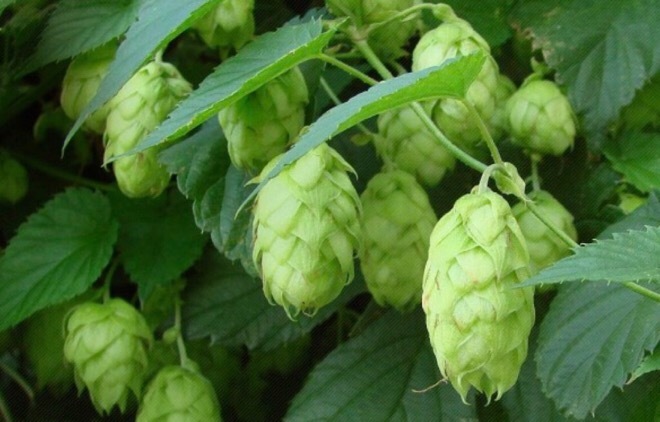 Besides adding bitterness, hops also give flavor and aroma, as they have a natural preservative quality due to their antibacterial properties. The time at which the hops are added determine how the beer tastes. Add them early and the beer will be more bitter. Add the hops later or after fermentation and it will be less bitter, but have more flavor and aroma. Grown around the world, hops are varietal with each variety having a different flavor profile ranging from delicate to brutal, where they can be aromatic, citrusy, spicy, tropical, herbal, earthy, grassy, or floral. The most distinct influence of Hops can be seen in American IPAs, which tend to have big aromas and flavors that provide noticeable bitterness and floral freshness. After using the primary 4 ingredients, brewers can add whatever else they want. Fruit is common, including cherries, raspberries, blueberries, apricots, raisins, strawberries, grapes and pumpkins. Any type of herb or spice can also be used to give depth or flavor. Coffee is a common ingredient particularly in stouts. Honey, nuts, vanilla or chocolate are also popular. These additional ingredients can be added at various stages in the beer making process.